Q. In terms of your company, what are you most proud of? A. I am most proud to be able to use our platform and company to help our employees to grow. Q. How do you keep the people that work with you (your employees) properly motivated? A. We try very hard to show employees that we appreciate all that they do for our firm. We provide employee recognition, incentives, opportunities for them to voice their concerns, give them opportunities to grow. Q. What is the biggest risk you have ever taken? A. The biggest risk I’ve ever taken was to resign from my managerial job to start this business from scratch with very little personal cash and no access to capital from the typical financial markets. Q. What is the one characteristic that you believe every leader should possess? A. The one characteristic that I believe that every leader should have is patience. Q. What is the biggest challenge facing our supply chain? A. The biggest challenge facing our supply chain is companies that are willing to take jobs below their cost in order to keep people working until they can hopefully dig out of a hole. 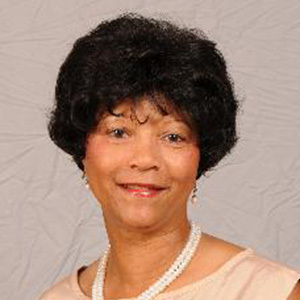 Cora Williams is the co-founder, CEO and President of Ideal Electrical Supply Corporation. Cora and co-founder Ken Rogers merged their government and corporate experience to grow the company with hard work, commitment, and a solid business plan that has brought success to Ideal and its clients for more than 20 years.